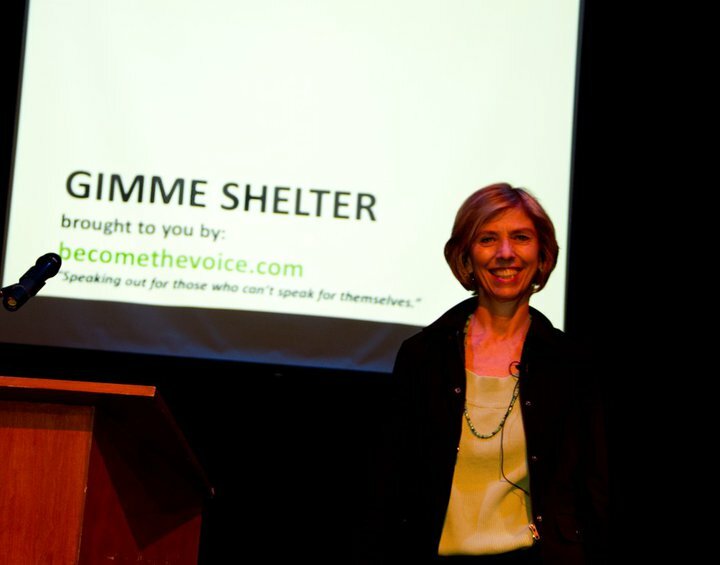 If you attended the Gimme Shelter, Everyday Choices at the Roundhouse on Sep 26, 2010, I want to say a big thank you: your support, open minds and big hearts for it was you who allowed me to made this event possible. 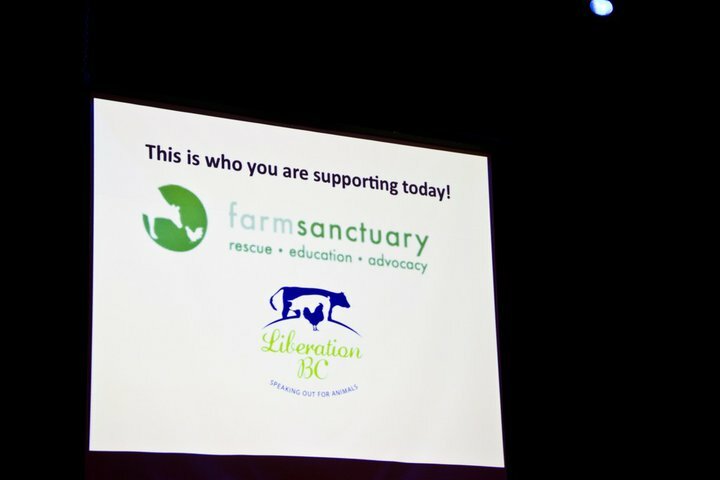 We raised $2800 dollars for Farm Sanctuary and $500 for Liberation BC. I was really happy with the speakers. 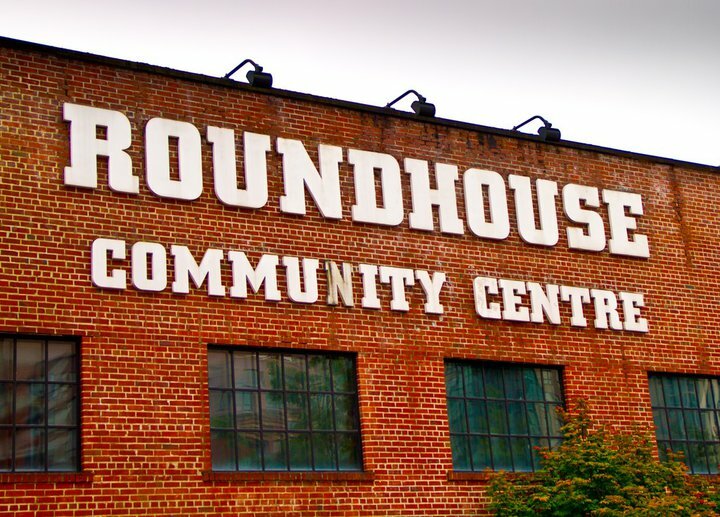 The event’s purpose was to raise awareness about everyday choices. 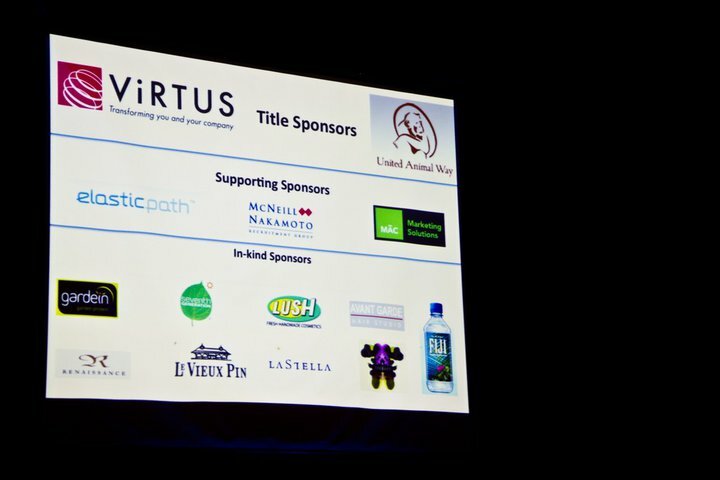 You could not have attended this event without being affected in some way. Along with a silent auction, entertainment provided by Evan Kennedy and the Fera Band some yummy catered food from Radha and a selection of wine to choose from – I think I had a pretty succesful first event. Our first speaker was Eleanor Boyle, on sustainable food attainable health. Eleanor’s presentations are inclusive, compassionate, and optimistic. She creates opportunities for people to share ideas and strategies for sustainable living and eating. With her presentation on how we can develop personal food practices that nourish the earth as well as ourselves, how we can choose to move down the food chain by eating none or less meat and how we can urge governments and policy-makers to shape food systems for ecological public health. 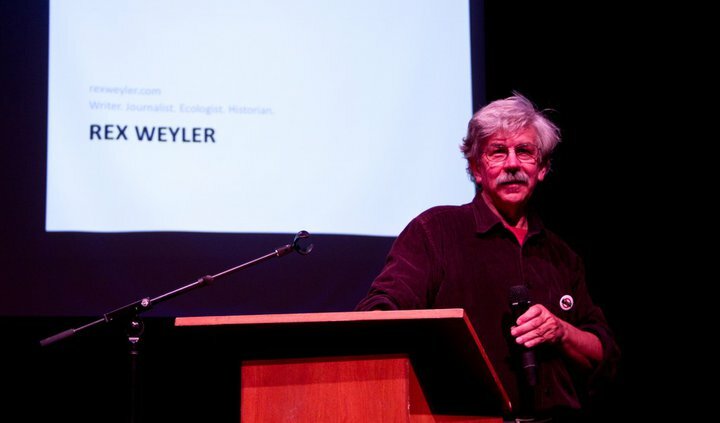 Our second speaker was Rex Weyler, Rex was one of the founders of Greenpeace and I have to say he is right up there with David Suzuki when it comes to intelligence. 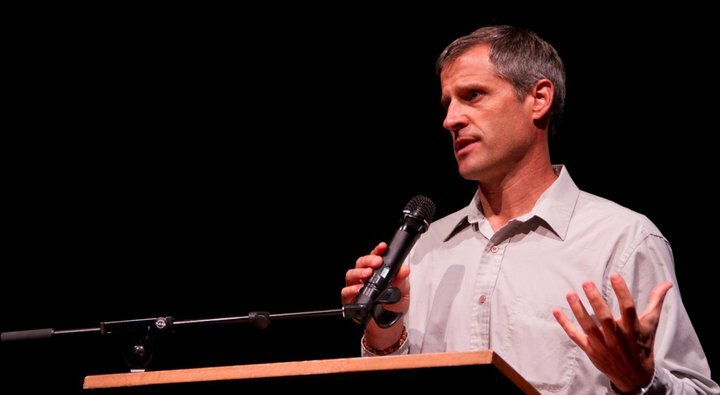 His presentation on how our food choices effect our environment, his approach to living simply just might be a great start to rebuilding our environmental damage. His eye opening presentation discussed that meat consumption not only contributes to the decline of our resources but that factory farming in a whole is the biggest contributor to global warming. Vehicles release over 1.7 billion tons of CO2 into the atmosphere each year, contributing to global climate change and each gallon of gasoline burned creates 20 pounds of CO2. That’s about 6 to 9 tons of CO2 each year. Before you consider all the C02 we produce with transportation, Factory Farming creates even more, methane and Methane is 21 times more powerful a greenhouse gas than CO2. While atmospheric concentrations of CO2 have risen by about 31% since pre-industrial times, methane concentrations have more than doubled. Whereas human sources of CO2 amount to just 3% of natural emissions, human sources produce one and a half times as much methane as all natural sources. In fact, the effect of our methane emissions may be compounded as methane-induced warming in turn stimulates microbial decay of organic matter in wetlands—the primary natural source of methane. This is a direct cause of the demands of more meat at a faster rate, more factory run farms and a diminishing of private smaller farms. Cheaper and faster is the new demand. We have gone from seeing meat as a side dish to it becoming a staple. Our demand and high consumption has created factory farms and factory farmed meat which is inhumane and the biggest contributor of global warming. I followed Rex Weyler presentation with a video called “Whats Wrong With What We Eat” by Mark Bittman. I chose this video because it seemed a perfect follow up to Rex’s presentation. 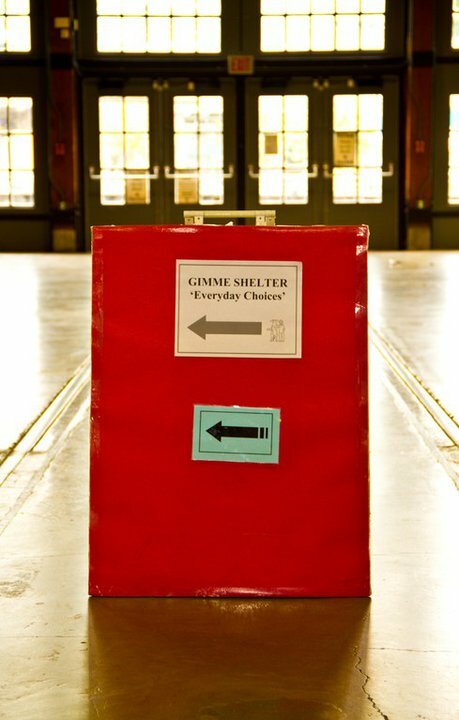 Our demand for resources. A semi-vegetarian, Mark Bittman accurately states: “There’s no way to treat animals well when you’re killing 10 billion of them a year.” Mark Bittman weighs in on what’s wrong with the way we eat now (too much meat, too few plants; too much fast food, too little home cooking), and why it’s putting the entire planet at risk. 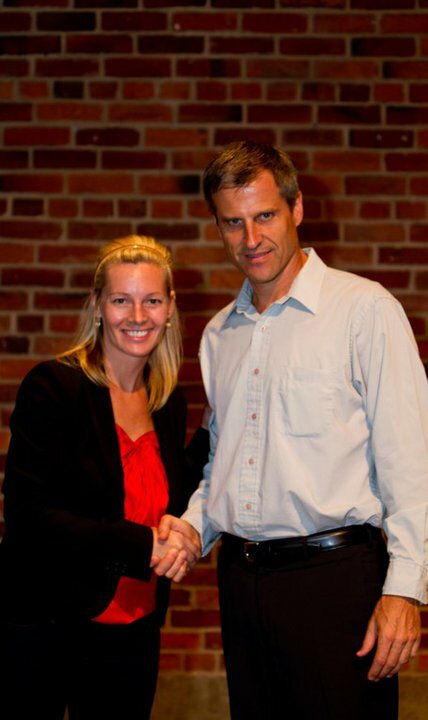 Our keynote speaker all the way from California was Gene Baur co founder of Farm Sanctuary. Gene talks about the effects of Factory Farming and presented an eye-opening discussion for many in the audience, as I later learned so many people had no idea that factory farming was going on. To most it was a shock that dairy cows are artificially inseminated and spend most of their life pregnant, while their calves become veal if they’re male and dairy cattle if they’re female, all days after birth. It is one of the cruelest forms of living and is what we know as factory farming. The environment that these animals live in is not hygienic; most suffer from respiratory problems, 90% of the antibiotics administered are given to factory farmed animals, and this is what is allowed in the food sold in supermarkets, it’s shocking that they allow this to be consumed by people. Gene explains that most of the animals that make it to Farm Sanctuary are scared and have never know any form of compassion. Gene is one of the nicest most compassionate, genuine people I have ever met. I feel very blessed to have had him visit us in Vancouver and speak at my event. Liberation BC organized a dinner at Organic Lives restaurant after the event! It is our responsability to learn how we can all make a difference and how we as a race can continue to support each other in making better choices and changes. For the full photo album of the event please follow me on Facebook.